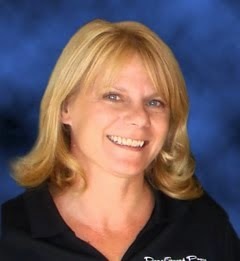 Anna Questerly: Meet My Friend, Karen Cafarella! Happy Friday! Today, I want to introduce you to my friend and fellow book-lover, Karen Cafarella. Unfortunately, I forgot to ask her for a photo, so I'll try to give you a glimpse of her. I secretly believe she's a sprite. Really! She's just a slip of a woman with a pixie hair cut, sparkling eyes, and a wide, welcoming smile. As soon as you meet her, you know you're going to like her. Like I said, she's a sprite! I've known Karen since we opened Dog-Eared Pages. She was one of our very first customers and has always been supportive of our author events and our store in general. She paints, writes, and teaches yoga. As a matter of fact, when she first began teaching yoga, I was part of her 'practice class' and we held classes in the bookstore before we opened until she received her license. 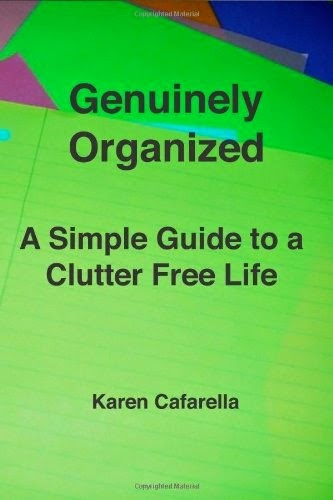 She's also an organizing guru, so I asked her to write a bit about that since we probably all need a bit of help there. kitchen, bathroom and garage in order; but what they don’t think about is the computer. store. Scanning is one of the easiest ways. It keeps all your writing in one place. them. You can also keep a folder just with ideas in them. keep the computer clean and organized. Remember whatever you are organizing a little bit at a time goes a long way. Anna, I love your description of Karen as a sprite. Great image. Karen, leave it to you to come up with great new ideas for staying in charge of all the stuff.